We're so glad you hang out with the kids! Through you, they see Jesus. 'nuf said. 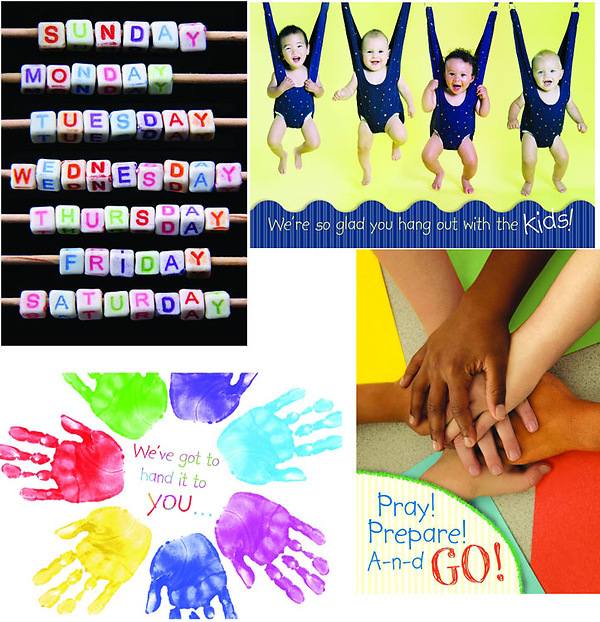 Show appreciation to all those who volunteer to work with the Children of your congregation. These Caring and Sharing Appreciation Cards have four different NIV Scriptures that are accompanied by four different designs. The cards are 4 3/4” x 6 3/4”. Each box contains 12 cards, with 3 each of 4 designs. Want to recognize your volunteers during the worship service or recognition ceremony? Click here to see our section of Certificates.